Situated in Blue Mountains, 12 km from Blue Mountain Ski Resort, Bowering Guest House boasts water sports facilities and ski storage space. Certain units feature a seating area to relax in after a busy day. Every room is fitted with a private or shared bathroom. A flat screen TV is available. Ski equipment hire is available at this guest house and the area is popular for cycling and fishing. 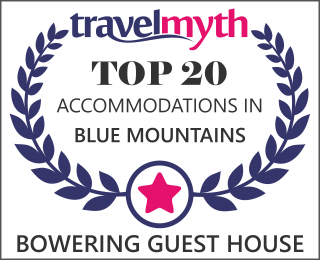 Blue Mountain is 12 km from Bowering Guest House, while Scenic Caves Nature Adventures is 11 km away.